With multiple options to choose from you will love our custom letterheads. Choose from your quality paper and ink colors to create the perfect letterhead. If you already have your own, you can upload it before checkout. If not, fill out the imprint information and upload your company logo and we will confirm layout before it goes to print. These letterheads come with free Canada-wide shipping which includes Corner Brook, St. John's, Halifax, Ottawa, Toronto, and Vancouver. 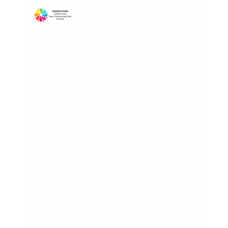 Whatever your letterhead needs, we can help! Choose an option below to get started. Add beautiful, full color (CMYK) ink to your letterheads. Printed on 70lb white offset stock. If you..